The holy week holiday is way past our calendar now and I just got back, and I'm so excited to continue making contents for you guys. I've ordered a few products before I went on vacation and today, we are going to unbox and take a first impression on all of it so you can have an idea on what's coming up for the next couple of weeks. I'm also on the process of finishing my second desk setup that will primarily be used by my wife but it will also double as my review/shooting setup and I'll try to update you guys about it but for now, let's see what we have for the upcoming product reviews. 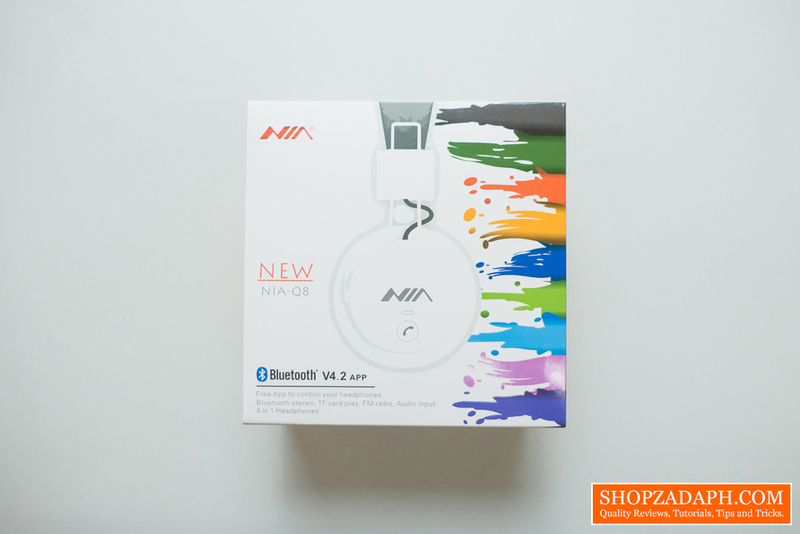 For the first product, we have here the new NIA Q8 Bluetooth Headphones. For the longest time, I've been wanting to get a Bluetooth headphone and I was planning on buying the more expensive Bluedio T2+ but unfortunately, It wasn't approved by the budget manager (my wife) and I personally can't justify the price as well of around 1800 pesos so I kept on looking for other options. Also, I initially wanted an over-the-ear type of headphones because of my huge ear but it's hard to find an affordable one so I had to narrow my options to an on-ear headphone and that's when I stumbled upon the NIA Q8. It caught my attention because for the price of just around 428 pesos you're getting a ton of features like Bluetooth connectivity, FM Radio, TF card reader and an audio in/out port where you can attach a 3.5mm jack cable so you can still use it even if it ran out of charge or if it's turned off. You can also use that same port to attach another earphone to share what you're listening to your friend or whatnot. And did I mentioned that it can also be controlled by its own app? yeah, you heard it right. You can control your music playback for Bluetooth, FM Radio and TF Card straight from the NIA Connect app and it also has a battery charge indicator to boot! The app works on both Android and IOS devices. 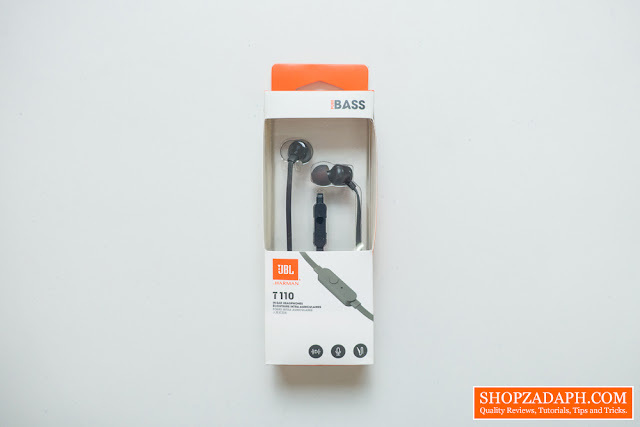 For the next product, we have the JBL T110 In-Ear Earphones. The reason why I got this one is because of its bigger brother, the JBL T450 Headphones that I recently reviewed here. They're basically the same aside from the form factor, they both have a flat tangle-free cable design and a 1 button remote control with microphone. The JBL t450 sounds really good for my taste and I hope this little one follows its bigger brother's footsteps. I'm also curious if it really does pack a ton of bass as advertised. 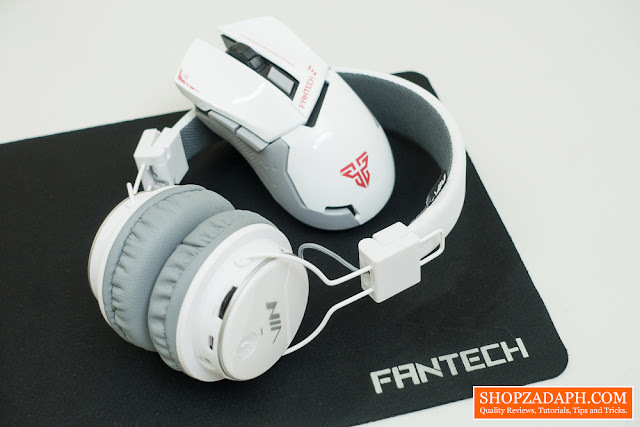 The next three products are all gaming peripherals from Fantech. Do a quick search on google and you'll find their official website called teecomp.com which is based in Guangzhou, China. Yes, it's not a big brand like Razer, Logitech, Corsair, etc. but it looks like they produce quite decent gaming peripherals. We're going to find that out for sure in the future as I'm planning on focusing on their products because they are fairly affordable for my budget. The first Fantech product we have here is the Fantech Leblanc WG8 Gaming Mouse. For sure this is not their best gaming mouse because first, it's wireless and we all know that wireless gaming mouse is just recently keeping up with the wired variant. Second, I can't really find any reviews about this online and that alone can indicate that this product is not good at all. But I'm curious and I'm going to give this the benefit of the doubt and find out myself if this is actually any good. The next Fantech product we have here is my personal favorite when I was browsing through their products on Lazada. 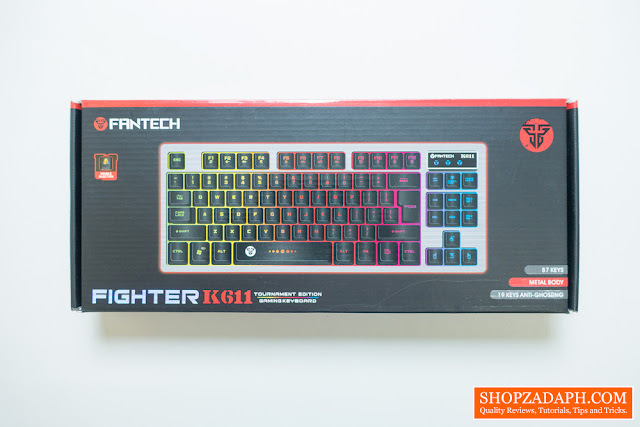 It's the Fantech K611 Fighter TKL Gaming Keyboard. What struck me about this keyboard is the form factor, I always wanted to try a TKL keyboard for a more minimalized look on my desk setup. It also has three sets of different color profile with an option to change the level of brightness as well as a breathing light feature while the colors cycles through the different profiles. Yes, it's not a mechanical keyboard and more like a "Mechanical Feel" keyboard. 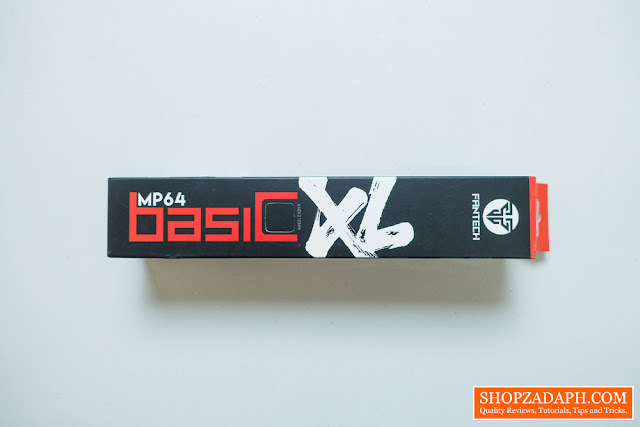 But for the price of only 645 pesos, with its features, I think this is a great value for your money. I'm excited to test this out and see if the typing experience is as good as its features. For the last Fantech product, we have the Fantech MP64 Basic Mousepad. 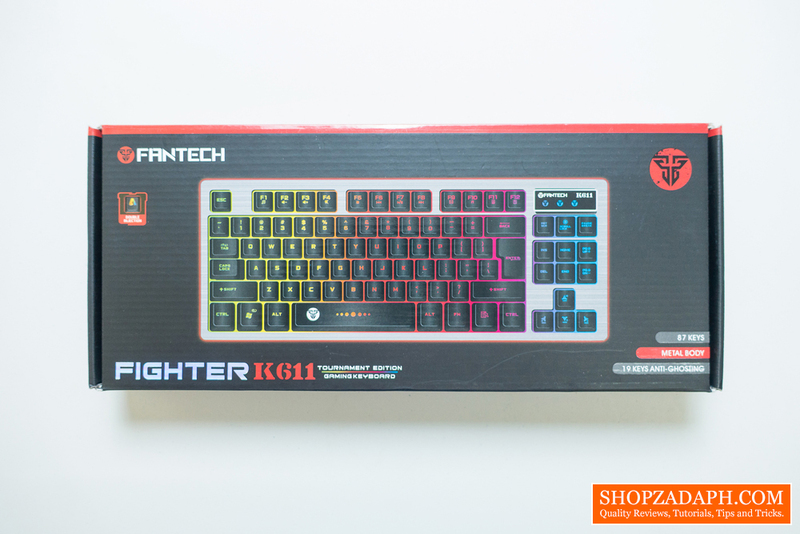 It's perfect for the combination of the Fantech K611 Fighter TKL Gaming Keyboard and the Fantech Leblanc WG8 Wireless Gaming Mouse. Take note though that this is smaller than what I've expected, It's way smaller than my Razer goliathus extended mousepad. The good thing is, it fits both the Fantech keyboard and mouse perfectly nonetheless. It's super cheap as well for just 160 Pesos. 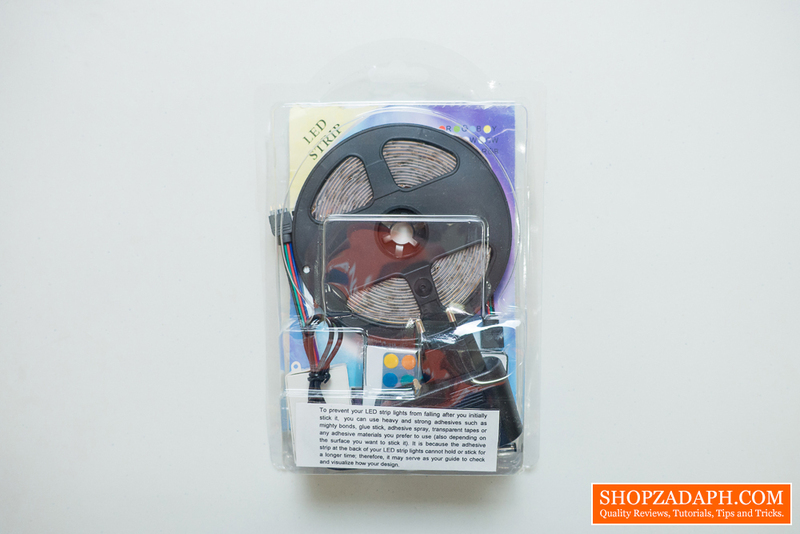 For the last product, we have here the cheapest RGB LED Strip that you can find on Lazada. It's a 3528 with 300 LEDs. It comes with the RGB LED Strip itself, remote, receiver and a power adaptor. Now, this is something that you have to "use at your own risk" because it's relatively cheap especially the power adaptor. It has mixed reviews with some saying that they got a defective power adaptor and others say it's working just fine. For my initial testing after the unboxing, mine worked out just fine, all colors worked and the power adaptor didn't explode. haha! I'll update you guys if ever I encounter a problem with this. It feels good to finally be back on the grind of making contents for you guys, the holiday break is great for physical and mental recovery and I had a blast. 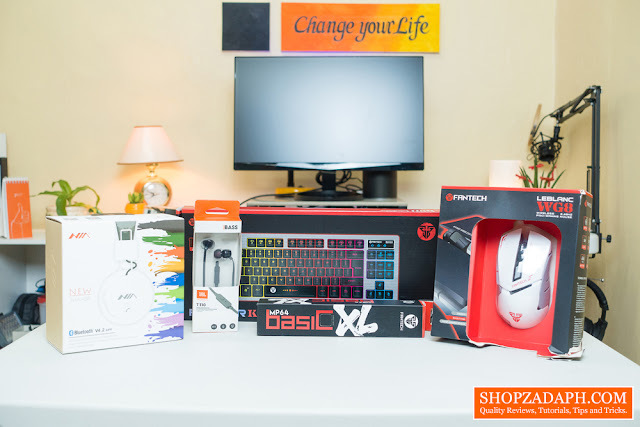 Now, I'm pumped as ever to test these products out and give my best to provide you with a quality, honest and detailed review as much as I can. So please subscribe to this blog and to my YouTube Channel to be in the know when the dedicated reviews come out. Cheers! 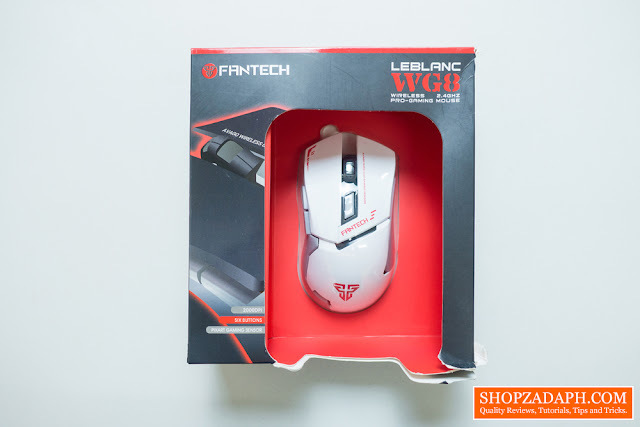 May Fantech WG8 Leblanc wireless mouse ako. Ok naman nung umpisa pero after few days of using it, nag iintermittent na yung signal. Di maka pag drag ng maayos. Gumagalaw yung cursor kahit naka steady lang yung mouse. Sinubukang magpalit ng batteries, mousepads, ilipat ng usb port pero same issue pa rin. Balik wired mouse na. Not for gaming.